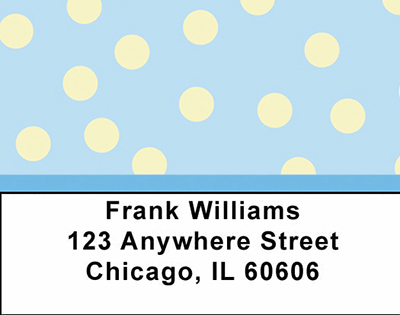 "Dots Address Labels" product is already in your cart. Vintage yet very contemporary fashion to add to your credential is dots address labels. It is fun and happy as well. You can use them in different colors. You can order checks to go with your dots address labels. It is a quirky and very 80s style that carries and era of childish exuberance. Use it as your credential in books, videos, tapes, mails and envelopes. Let yourself known through your identity. Remember it is cheap and as such, it is an effective cost effective way of self expression. It saves time as well, because you do not have to manfully attach the addresses to every mail and envelope that you use.